Enjoy the top 1 famous quotes, sayings and quotations by Sheila Kuehl. 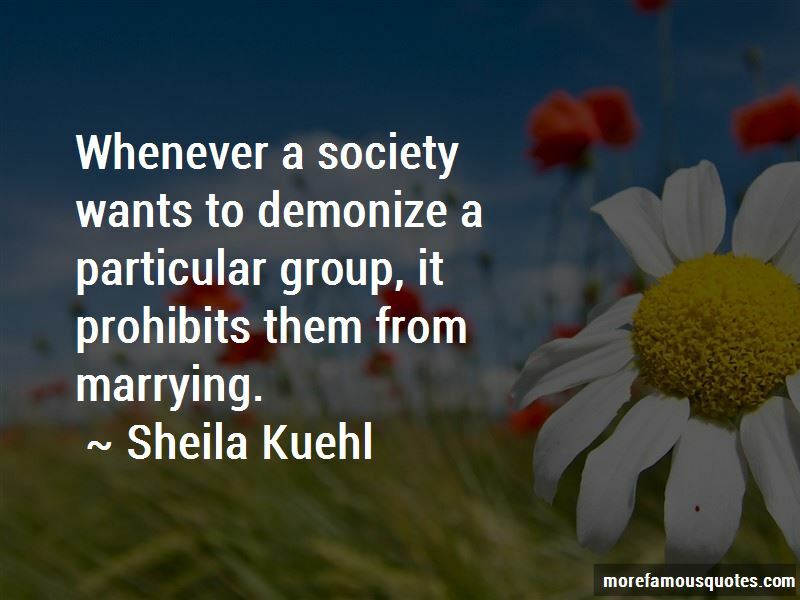 Whenever a society wants to demonize a particular group, it prohibits them from marrying. Want to see more pictures of Sheila Kuehl quotes? Click on image of Sheila Kuehl quotes to view full size.